Book a skilled lawn pro in Raytown. Backed by a total satisfaction guarantee and amazing customer support. 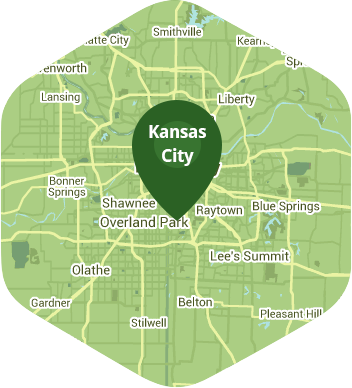 As a Raytown homeowner, you share in your city's sense of community pride, enjoying its parks, events, and sense of history while still enjoying the close proximity of Kansas City. And there's nothing you'd rather be doing on the weekend than spending time with your friends and family. One thing you probably don't want to be doing on your weekends is spending time stuck behind your lawn mower again. Take back your free time, and give Lawn Love a try! We're a different kind of lawn care company, combining convenient online access with the age-old task of lawn care. And when our independent lawn care experts get to work on your lawn, the results speak for themselves: a dazzling green lawn that's rich with health and plush and cool underfoot. So come check us out! You can give us a call at 816-527-9015 or try out our convenient two-minute quote, and let Lawn Love give you the lawn of your dreams for years to come. A little late with this rating, but I wanted you to know the yard looked great after the April 10 service. Thank you for giving the lawn a good start for the spring season. Rated 4.75 / 5 stars in 2,040 Raytown customer reviews. There won't be any rain in Raytown today, which means you'll probably have to water your lawn. Dusk and dawn are the best times to water your lawn (the sun will rise at 6:29 AM and set at 8:03 PM today in Raytown). Here are some average lawn care prices for homes in Raytown. Average lawn size 7,873 sq. ft.